The actual work of Eurasia already started in an informal way in 1992. 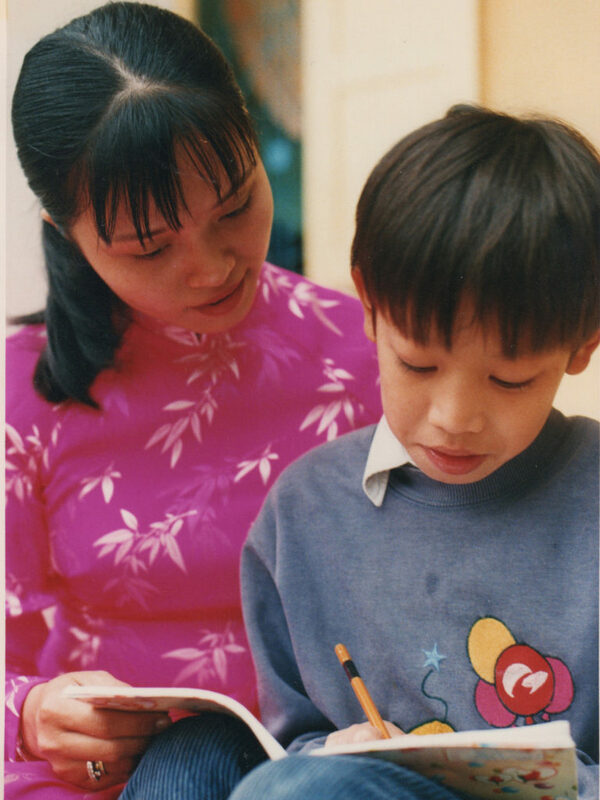 Eurasia was born from the encounter of experienced professionals in the fields of special education and social therapy in Switzerland perceiving the suffering of children living with disabilities in Vietnam and urgent needs of their families. The meeting of this challenging reality with those who have a capacity to understand, and a will to act in order to relieve this suffering, built a bridge out of which Eurasia was born. For over two decades this collaboration has brought about many manifestations of social innovation and global care. 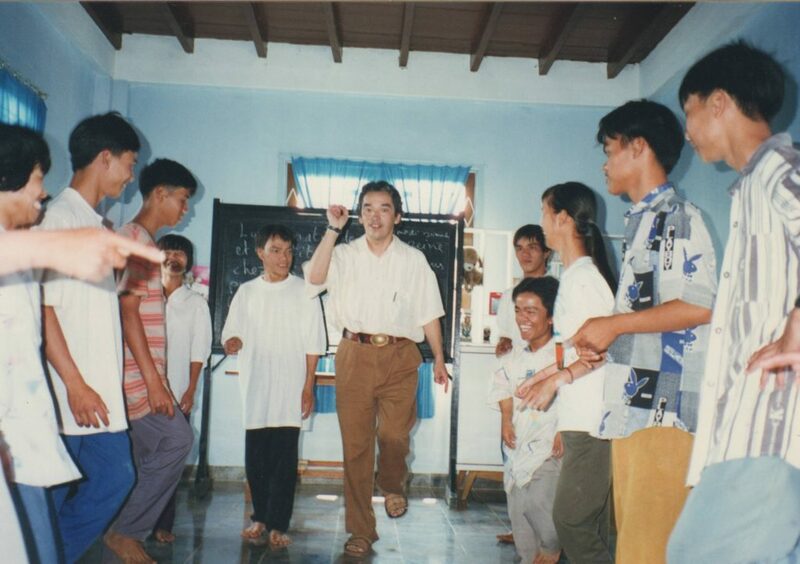 In 1998 the Association was formally inaugurated and since then our activities have developed constantly and have grown into a solid network of concrete projects in Vietnam and Europe. 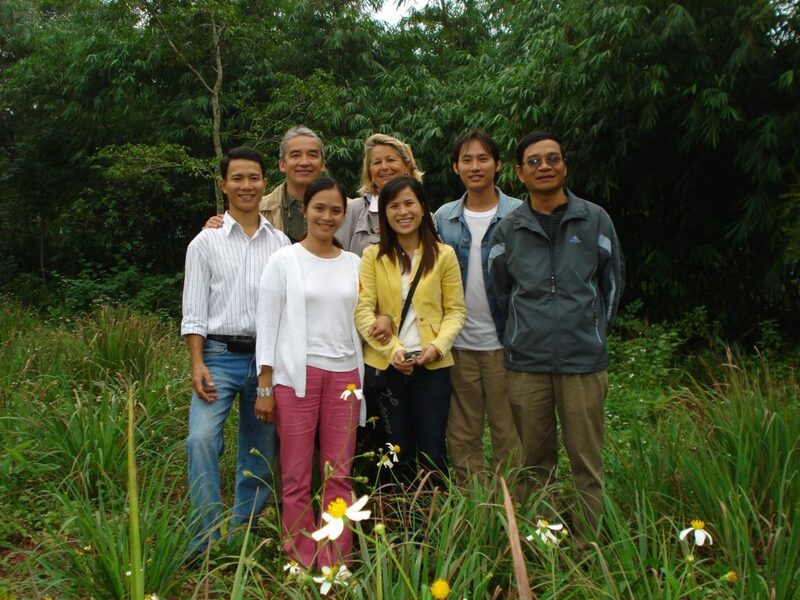 A very dynamic Vietnamese team and the dedicated Board of the Eurasia Foundation and Association have worked together tirelessly in order to respond to the changing needs of the individuals living with disabilities and their families, and also the needs of the professionals who have the integration and wellbeing of these marginalized people at heart. The work of Eurasia is constantly adapting in a very fast-changing society, always facing new challenges and opportunities. Our tasks have also evolved over the years towards a wider ecological awareness and the need to develop social entrepreneurship in order to make the life and work of people with disabilities sustainable. We also decided to bring Social and Emotional Learning to so called « normal children ». All these new developments have the same goal: Integrating individuals with disabilities and other marginalized people more and more and helping them participate actively in societal change. Building of three classrooms for children living with intellectual disabilities within Thuan Thanh primary school in Hue. Setting up a post-graduate course in special education in Hue University in partnership with an American University. Creation of an inclusive kindergarten in TTG. It will serve as a practical training center and as proper place for children with special needs. 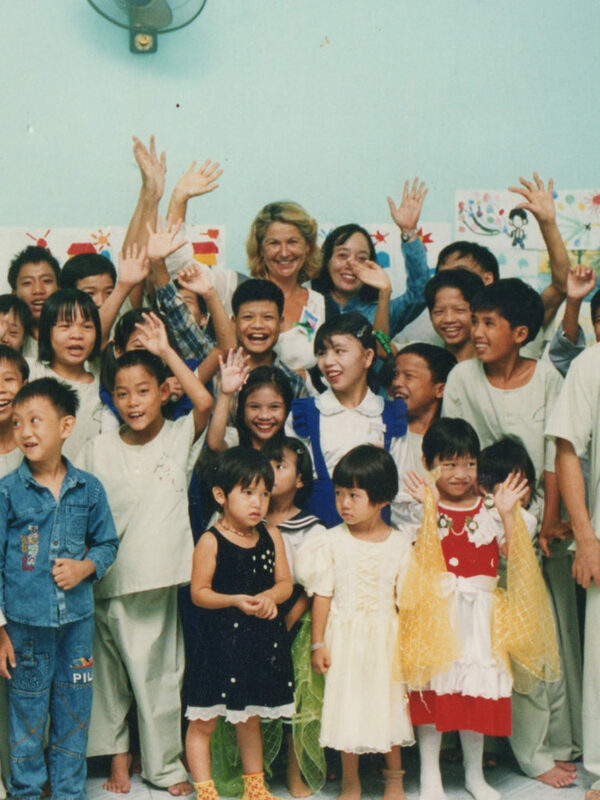 Organization and sponsoring of three festivals for and by the disabled children in Hue 2004-2006-2014: three days of exhibitions and performances for and by the disabled children. Happy Schools: A Mindfulness, Social and Emotional Learning and Care for Nature program. The first year of the pilot programme involves over 2000 children from Hue public schools. 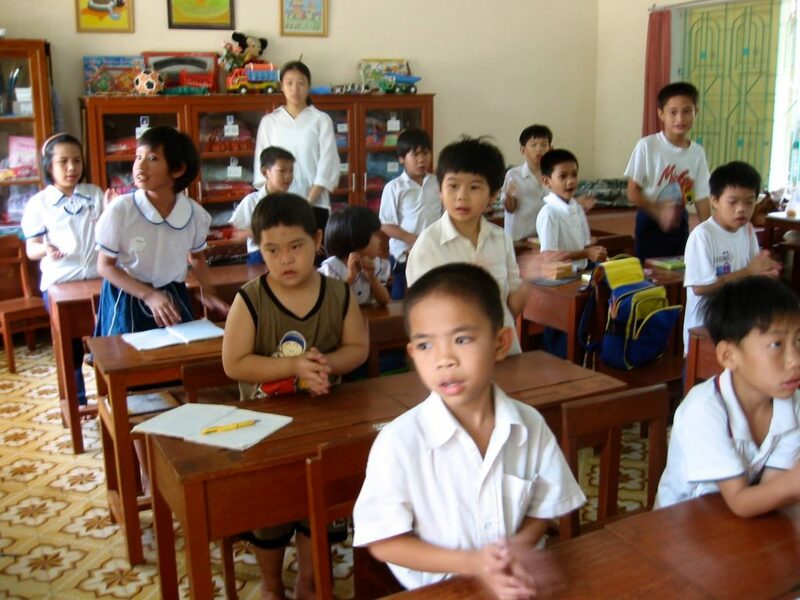 A successful integration model: Thuan Thanh School and 4 other primary schools in Hue City. They offer a successful model of inclusion. Classes for intellectually disabled children and one class for the hearing impaired children have been built within five primary schools. The specific needs of these children are being met, without segregating them from other children of their own age. 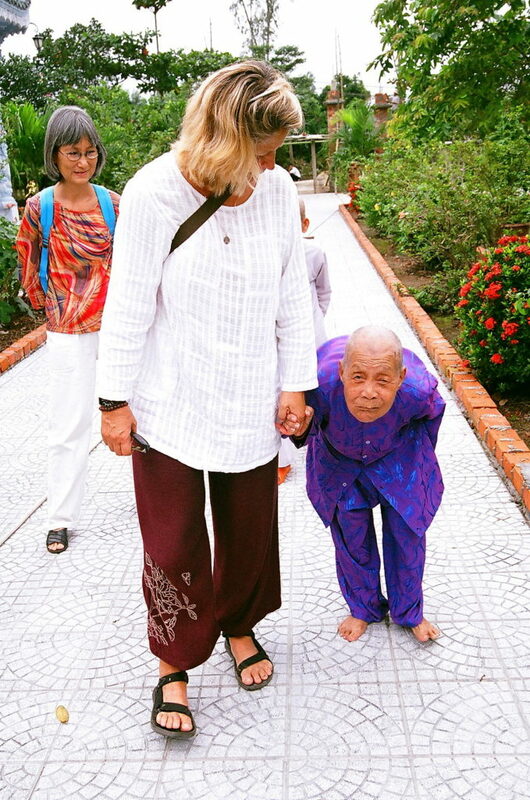 A home for elderly and disabled ladies in Tinh Duc Pagoda: In the year 2000 started a longterm collaboration between Tinh Duc Pagoda and Eurasia in Hue. Due to the war, many elderly ladies were left without families to support them. The Tinh Duc Pagoda offers them food and shelter as well as a safe and peaceful environment. Moreover, a clinic providing traditional Vietnamese medical care has been opened and is available free of charge for the residents as well as for the local population. The Empowerment Project: Enabling young adults living with disabilities to share their experience and skills with schoolchildren of primary and secondary schools and university students in the fields of bio dynamic agriculture, living skills, community life, various workshop activities: cooking, baking, cleaning, handicraft.